A few months ago, as part of an ongoing fascination with food trends, a post here traced the origins of the "uni sandwich" back to local darling Chef Michelle Bernstein (though the Food & Wine story dubbing it "The Next It Sandwich" managed only to identify several New York variants). Such sharing can work in both directions, and it seems Michelle's borrowed a couple ideas from some big-shot New York chefs for her newly opened restaurant at the Omphoy resort in Palm Beach. One of the dishes on the menu, as described by All Purpose Dark, is a veritable Eric Ripert/David Chang mashup: a tuna carpaccio topped with foie gras "snow". The parents of this concoction? How about the pounded tuna laid over foie gras at Eric Ripert's Le Bernardin, combined with David Chang's famous frozen foie gras "snow" at Momofuku Ko (named by both the New York Times and Food & Wine as their 2008 "best dish of the year"!). Interesting, the Momofuku cookbook gives credit to Alinea for inspiring an element of another dish (braised pistachios) but not to the shaved foie which is chalked up to serendipitous discovery of an old torchon in the freezer. HELP- My daughter is taking a vacation this week in Miami and wants to know the best places to eat. Since I know food-bloggers cut through the hype, can you tell me some places that would really wow her?She loves ethnic food and unique restaurants. Thanks so much! Deborah - that's sort of what I'm trying to do here, but it might take a little bit of reading! 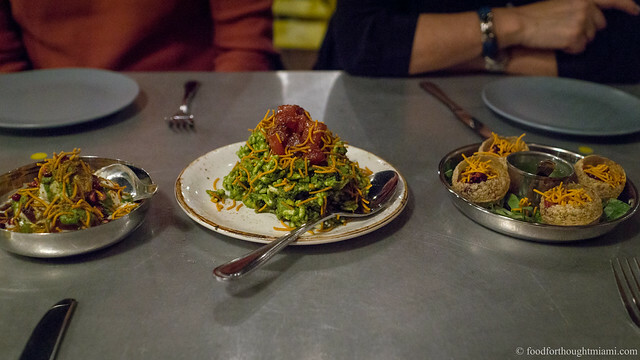 "Ethnic" covers a lot of ground and could mean anything from Asian to Latin American and lots in between; "unique" really depends a lot on the breadth of your dining experiences. Indomania on South Beach is a neat spot with Dutch-Indonesian food (the rijstafel is the way to go); Hiro's Yakko-San is a great izakaya style Japanese place; NAOE does a kaiseki-influenced omakase bento box that changes every day, followed by the chef's choice of exceptional sushi; there's a plethora of Latin American choices, not just Cuban, but Argentinian, Peruvian, Colombian and others; plus several restaurants that offer great cooking and a focus on local product, like Michael's Genuine Food & Drink, Michy's, and at a lower price point and more casual vibe, Red Light. I could go on, but that's sort of why I've put this all up here, so folks can sort through it and find for themselves what they're looking for. Good call. 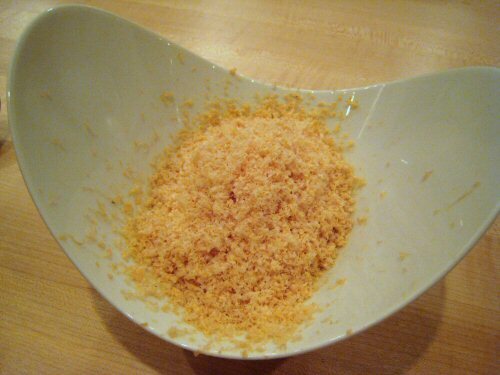 2001, elBulli did a dish called frozen foie gras "quinoa" which sure looks like a grated frozen foie. Picture here. And yes, I've heard of elBulli.